Honestly, we still have questions as well. 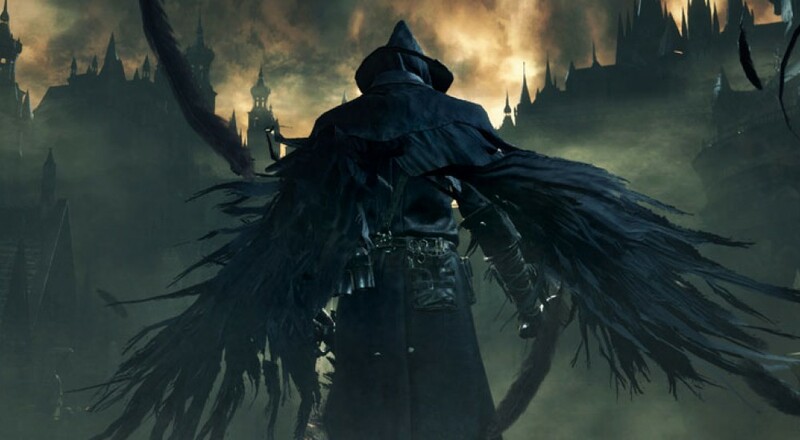 Bloodborne has been out for a bit now and we’ve been hard at work preparing a co-op review. Those of us on staff who have been playing have racked up over 100 hours of playtime (probably more), but there’s still more to discover. Here are some answers to common questions we were asking each other while playing through the game. Let us know if you have any others in the comments and we'll do our best to answer! How many players can play Bloodborne online? What is the goal of a co-op session in Bloodborne? How do you begin a co-op session in Bloodborne? What is Insight, and how do I get it? Can the entire game be played cooperatively? Can I co-op with a friend and a random player to fill out the roster? How is PvP implemented? Can I avoid being invaded? How does save game progress work for co-op play in Bloodborne? Can I join a game if the host is further along than me in Bloodborne? How do the Oaths (covenants) in Bloodborne affect co-op? I see bubbling puddles of smoke and blood on the ground, what do they do? Hey, I tried connecting to my friend and it didn’t work. We tried for 20 minutes and nothing happened, or when we did connect one of us lost network connection. What gives? Bloodborne can be played with up to three players online. The goal of a co-op session is to defeat an area boss. Once this is completed the session is ended. Two items are required for co-op. The host player (Beckoner) must posses the Beckoning Bell, which can be found in the Hunter’s Dream location after encountering an area boss for the first time. Potential guest players (Cooperators) must posses the Small Resonant Bell. This item can be purchased from the special Bath Messengers located within the Hunter’s Dream for one Insight point. Players must have accumulated 10 Insight before they are able to talk to these messengers. The Beckoner rings his or her Beckoning Bell, at the cost of one Insight, while the Cooperators ring their Small Resonant Bells. The game will then match up Beckoners to Cooperators. Insight is a form of currency in Bloodborne. A Beckoner must use one Insight to ring the Beckoning Bell and initiate a search for a co-op session. * Cooperators will earn one Insight for assisting a Beckoner in defeating an area boss. Beckoners will gain one or two insight for just finding a boss, and then more Insight for defeating it (varies from two to five depending on the boss). Insight can also be earned through discovering certain locations, performing specific actions, and gathered via rare consumable items found throughout the game. *The Insight is consumed whether the Beckoner connects to other players or not. No. Some areas require specific actions or items to be used by the player to enable co-op (the Cathedral Ward is one such area). Other areas do not allow co-op at all, but the vast majority of the game can be played cooperatively. While there are some factors that will affect summoning, such as each player being within at least 10 levels of each other, the easiest way to co-op with friends is to adjust your in-game network settings. Network settings can be adjusted on the fly and do not require players to exit the game. Within these settings, each player should set the network to “Worldwide” and must set a password for the game. Once this has been set, players should all be within the same general area of the game (lamps/bonfires make for the best meeting points). Then, the Cooperators should ring their Small Resonant Bells, and the Beckoner should ring his or her Beckoning Bell. It’s important to note that setting a password in your network settings is only to help match up Beckoners and Cooperators, it will not prevent invasions from enemy players. Yes. Simply beckon your friend into the game as outlined previously. After they join your game, set the network settings to default and your game is now public. You do not need to ring the Beckoning Bell again. PvP is initiated when a Bell-Ringer Woman spawns into player’s game. This is an AI character who will attempt to summon a live player who has used their Sinister Resonant Bell. If the Bell-Ringer Woman successfully summons another player, the host’s game will be invaded. This process can be aborted if the host player finds and eliminates the Bell-Ringer Woman, or engages with the area boss. Different factors affect whether or not a Bell-Ringer Woman will spawn into a player’s world, but usually they will spawn when a Cooperator joins a Beckoner’s game. The Bell-Ringer Woman spawns in a set location in each area. The Cooperators that are summoned into another player's game immediately stop all progress in their own world and spawn into the Beckoner's world. Cooperators will not gain any world progress, but they can collect healing items, ammunition, and Blood Echoes (Bloodborne’s main XP/Currency). Yes, so long as you can reach the same area as the other player. Story progress does not matter for either player when it comes to summoning. Players need to be within 10 levels additionally plus or minus ten percent of each other. Bloodborne, unlike previous games in the Souls series, only has a handful of Oaths to choose from. The Vilebloods and Executioners are at odds with one another lore-wise and will never cooperate. If you summon a member of the opposing faction into your game, you will actually initiate a PVP session. The safest way to avoid this is to not equip an Oath rune at all, or use the Hunter rune. A Cooperator cannot interact with NPCs when summoned, nor can they see or pick up key items while in phantom form. No one can 'screw up' your game when you summon them, so go ahead and get some help and engage in jolly co-operation. Throughout the game, players will acquire several Chalices, which are used in conjunction with materials gathered in the world to create explorable dungeons. The first time you create a dungeon from a base chalice type (Isz/Pthermu/etc), the dungeon layout will be set. Bosses in the dungeon will drop other Chalices that can be used in their own ritual to create a randomized version of the dungeon. Chalice dungeons can be played in co-op with friends by sharing the password for that dungeon and initiating a multiplayer session as described above. Those are messengers! Other players can leave helpful (or misleading) notes for other players using their notebook item (received at the same time you acquire the Beckoning Bell). The puddles of blood show off how other players in that area died, so if you’d like to get a small hint of the horrors that await you, check them out. Bloodborne is not without some bugs and other technical glitches in the system. Players don’t have much control over connectivity, but there are a few helpful things you can try. First, if you are trying to match with friends, have them ring their small bells before you ring the Beckoning Bell. We don’t have hard data, but in our experience we matched a lot quicker. Also, always make sure to completely quit out of the game, and not use your PS4’s shiny new resume function, as it seems to break the multiplayer pretty thoroughly. Page created in 0.6175 seconds.